To All Bravehearts Baseball Fans & the Community of Central Massachusetts: On behalf of the Worcester Bravehearts organization, I understand and appreciate the euphoric excitement that most, if not all, people in Central Massachusetts feel with the announcement that the Pawtucket Red Sox are relocating to Worcester, MA. I hope that people can understand and pardon my family and me for respectfully not sharing in the elation at this time where the impact of all this on the Worcester Bravehearts’ business operation remains to be seen. Over the last five years, my family, along with Bravehearts’ General Manager Dave Peterson, and our entire staff have worked tirelessly to create a baseball team and build a brand that the community of Worcester and families of Central Massachusetts would be proud of and enjoy. By all measures, we have exceeded everyone’s expectations, including our own, and have operated in a way that I gladly sign my name to. 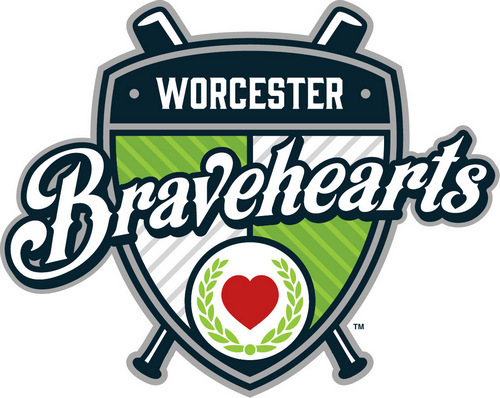 In short, the Bravehearts have been wildly successful on the field, in the stands, and around the community, developing into a quintessential Worcester brand providing wholesome, affordable family fun and high caliber baseball. Since our inception, it has been a true privilege for my family and me, along with Dave Peterson, to be stewards of the national pastime here in our hometown. None of the Bravehearts’ success or positive impact would have been possible without the enthusiastic support from our ballpark guests, host families, corporate partners, nonprofit partners, media partners, and community leaders. For all of your support, we are truly grateful. We do not take any of it for granted. In many ways, Friday’s announcement knocks the wind out of us and pauses the magical momentum we have generated over the last five years. It will be hard for our small, family-owned & operated baseball team to compete with the prestige and resources of the Triple A affiliate of the Boston Red Sox. However, we do not shrink from adversity or back down from a challenge. That is not what Worcester people do. 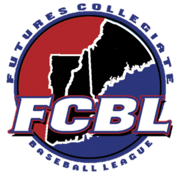 We continue to communicate in good faith with Larry Lucchino and his Red Sox team, but more work needs to be done in this regard to elucidate the future of the Bravehearts’ organization. I remain hopeful that the words of our city leaders over the past year in support of the Bravehearts as part of the deal to relocate the Red Sox Triple A affiliate to Worcester will ring true before too long. That has not happened yet, and it has not been for lack of effort, attention, or willingness on the part of the Bravehearts. In the meantime, though, you can rest assured that the Worcester Bravehearts will continue to operate with vim and vigor, and continue to play with zest and zeal at Hanover Insurance Park at Fitton Field next summer and beyond. Assuming that all goes smoothly with the Triple A ballpark construction and the Kelley Square infrastructure project, then the Triple A team would not start playing in Worcester for another three – or possibly four – years from now, in 2021 or 2022. And we are not going away. As we see it, the families of this incredible community deserve to have a baseball team they can spend their summers with in 2019, 2020, and perhaps beyond – namely, the Worcester Bravehearts. Plus – between you and me – our loveable mascot, Jake the Lion, needs the work. No one wants to see him panhandling in Lincoln Square. From my family to you and your families, thank you for your support of Worcester Bravehearts baseball. We continue striving to be the team and brand that you can all be proud of. Many, many heartfelt thanks.